Ahead of England Rugby’s biggest ever tournament, we galvanised England fans by giving them the ultimate canvass on which to show their support for the team. 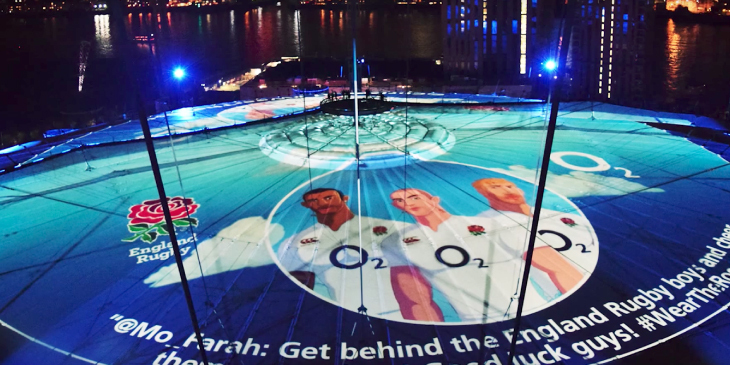 On the eve of the home Rugby World Cup 2015, and with the eyes of the world on England Rugby, we created the world’s largest projection on the roof of the O2. Rose on the Roof was born. For the first time ever, the roof of the iconic London venue was lit up with the help of 68 projectors, 144 moving light fixtures, 13.5km of mains cables and two helicopters. In the lead up to tournament kick off, England’s anthem singing soprano Laura Wright performed a rousing rendition of ‘Jerusalem’ atop the O2 to launch the world first. 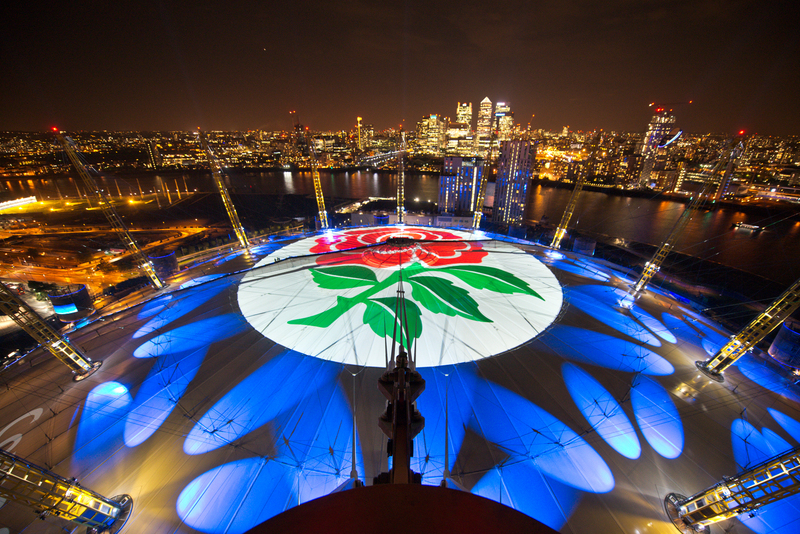 The roof was then handed over to England Rugby fans for the duration of the tournament, inviting them to show their support by tweeting using #WearTheRose. Tweets were then projected onto the top of the roof. Among the thousands of messages appearing on the roof were those from national sporting icons Jonny Wilkinson, Jimmy Anderson and Victoria Pendleton.